- Targocid injection is an antibiotic. 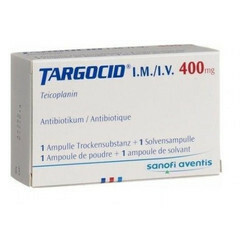 Targocid 400 mg Injection is a glycopeptide antibiotic used in the treatment of a variety of bacterial infections caused by gram-positive bacteria. This medicine should be used with caution in patients with kidney diseases due to the increased risk of severe adverse effects. 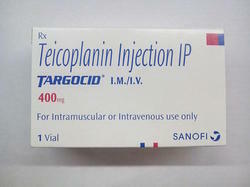 We are a renowned name, which is engaged in offering Targocid Injection 400 MG.